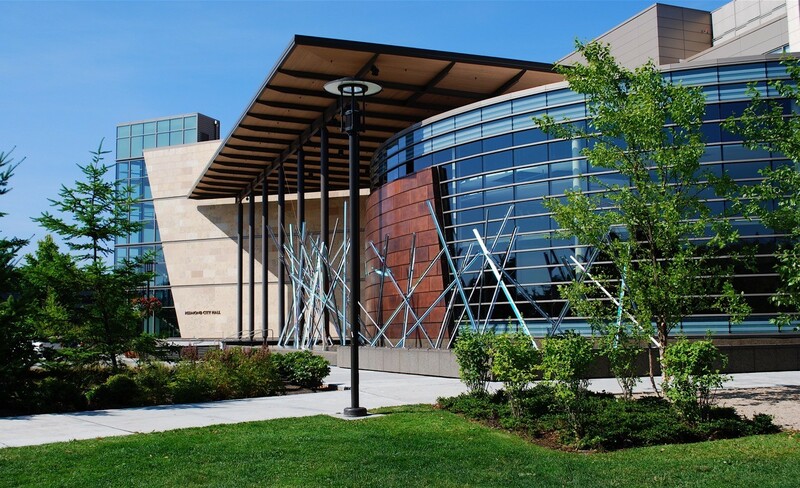 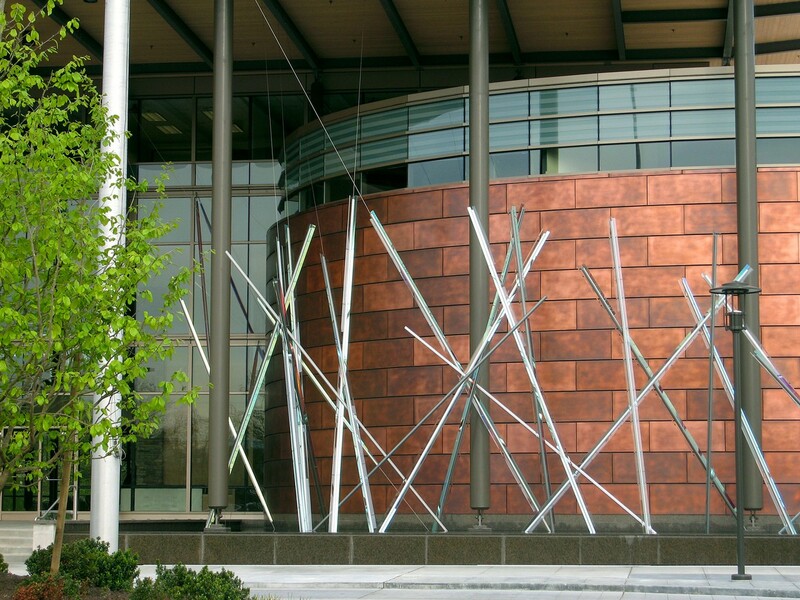 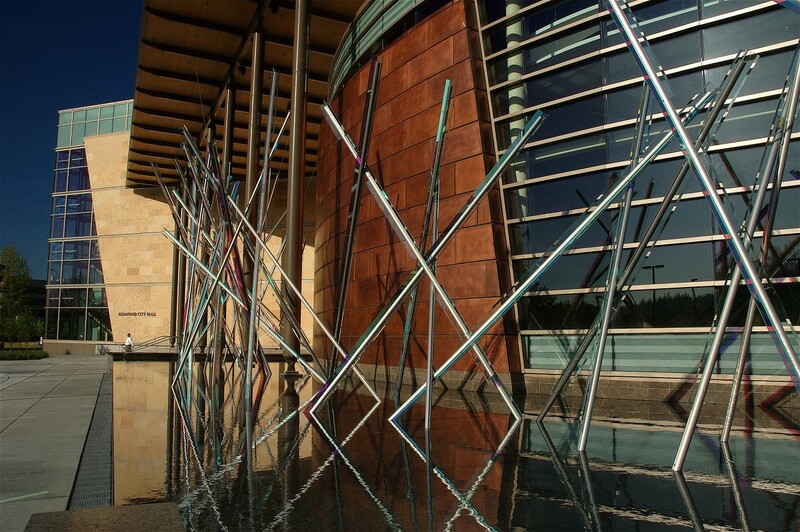 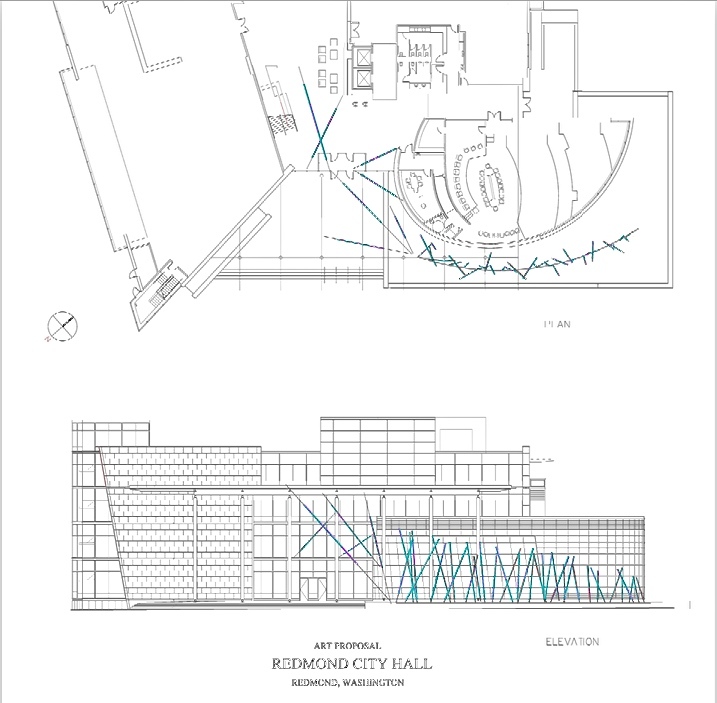 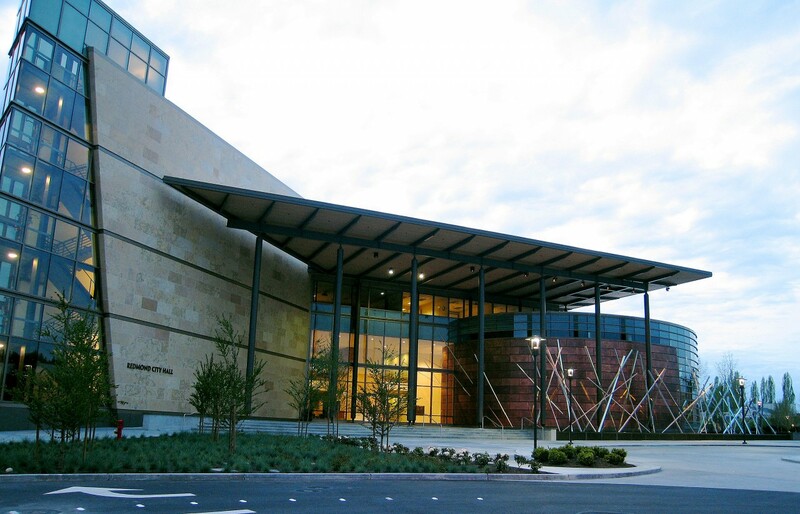 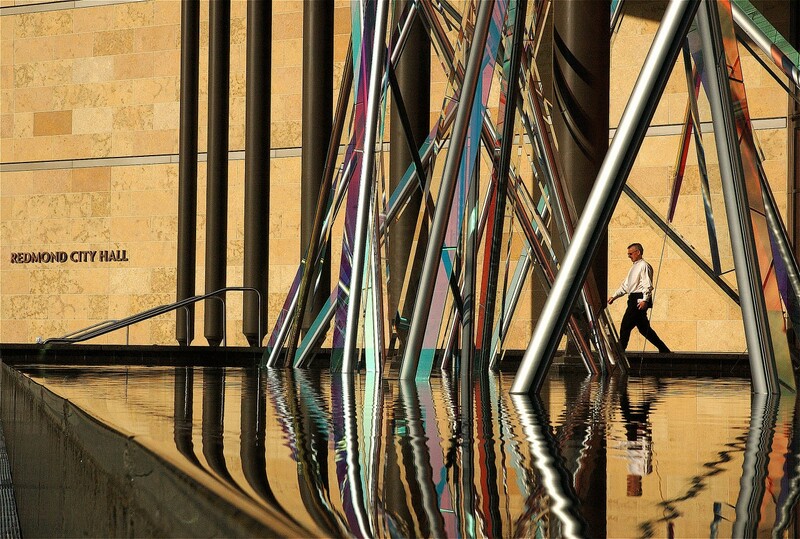 “Silver Thaw” forms a sweeping arc through the reflecting pool of the new Redmond, Washington City Hall, gesturing toward and into the main entrance, and providing dynamic counterpoint to the architecture. 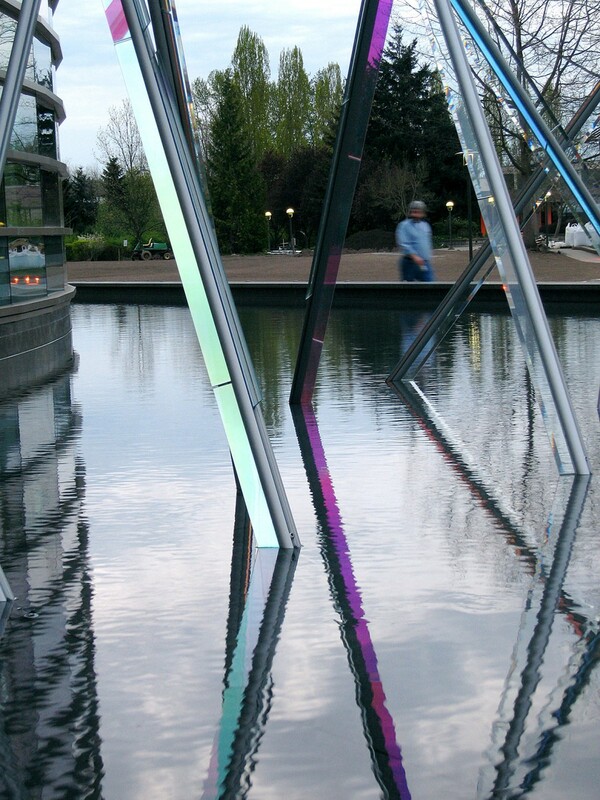 Its beveled and dichroic glass elements play in the light creating fractured views and colorful reflections, reminding us of frosty native grasses found along the banks of the adjacent Sammamish River. 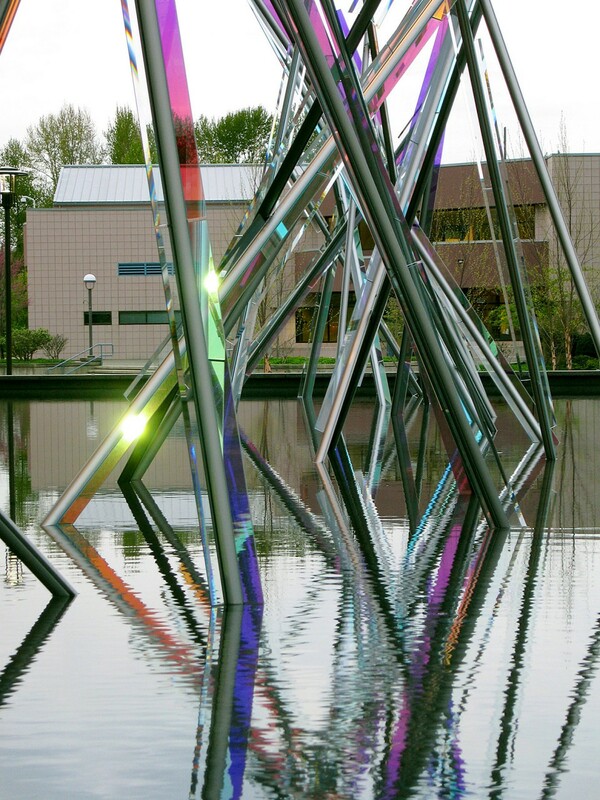 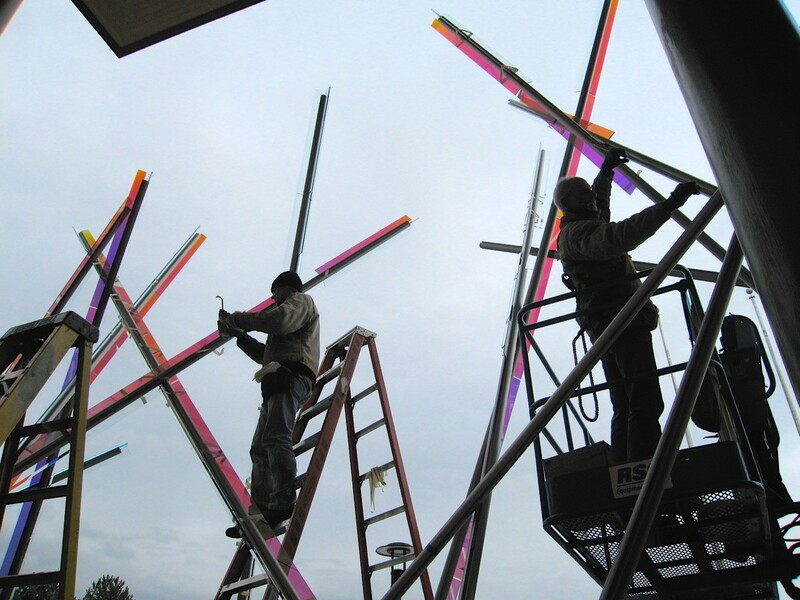 The glass fins on “Silver Thaw’s” slender aluminum stalks are an integral part of the sculpture’s engineering. 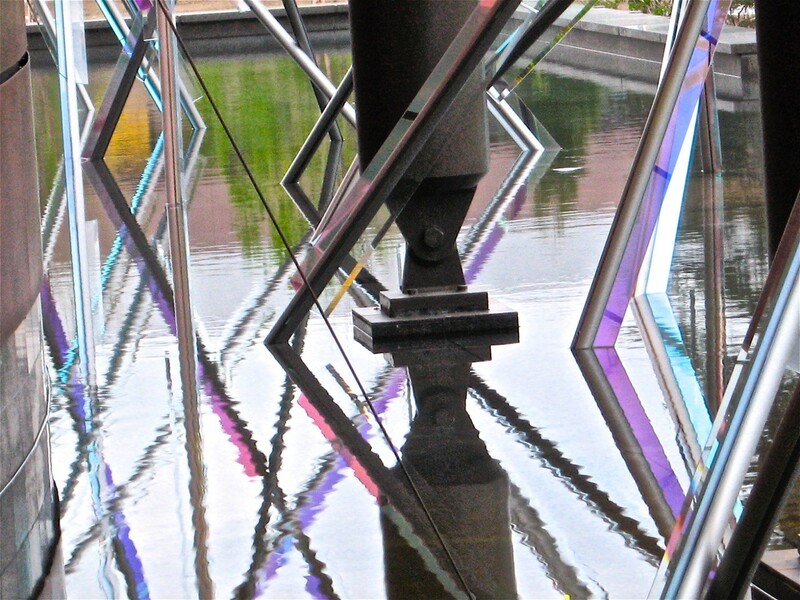 They provide sectional reinforcing that allows the strength required for the structural spans involved. 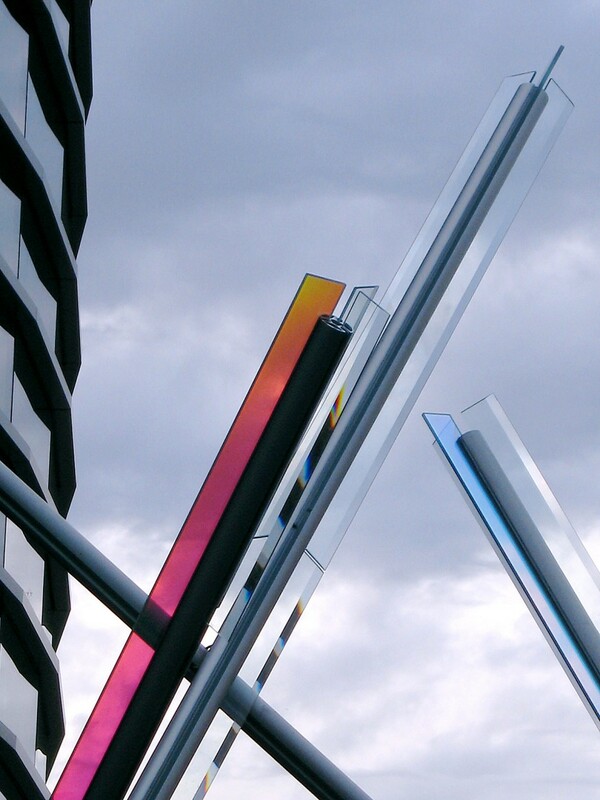 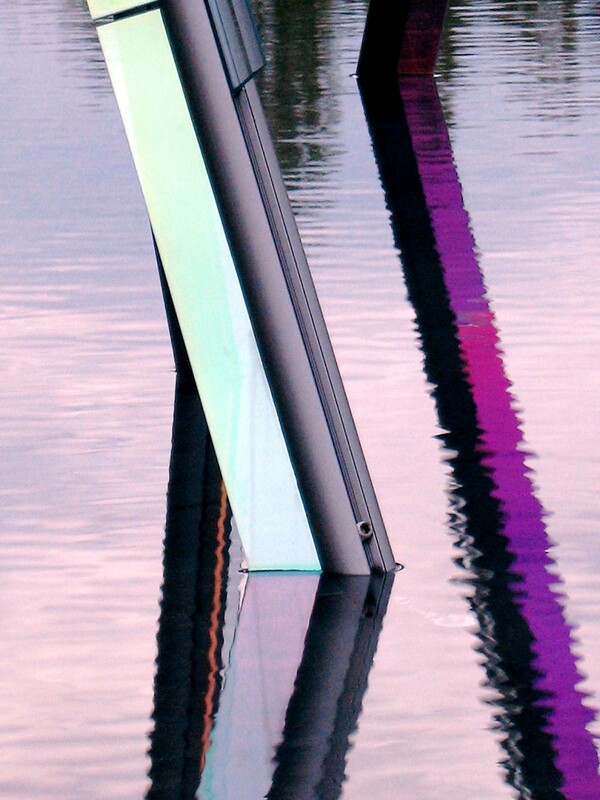 Materials: Aluminum, stainless steel, laminated dichroic glass, tempered clear beveled glass, and structural silicone.